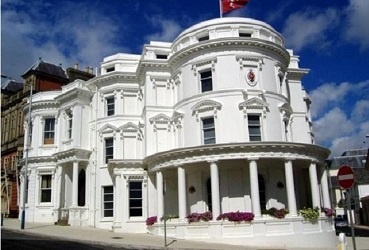 The Chief Minister has selected his first Council of Ministers. In Alfred Cannan (Treasury), Kate Beecroft (Health and Social Care) and Chris Thomas (Policy and Reform), Howard Quayle has selected three of his main opponents in last week's Chief Minister vote to arguably the three most senior positions of government. Mr Cannan follows in the footsteps of his father David Cannan who was Treasury Minister from 1986-89; Kate Beecroft has been a vocal critic of the health service and has called for major changes; Mr Thomas has been keen on taking over the Policy and Reform role for some time. Mr Quayle, who says his team will start work this week on developing a government programme, believes it’s important an inclusive government represents a range of experience and views and shares a passionate commitment to doing what’s best for the Isle of Man. In total, he has selected six first-time ministers. The exceptions are Graham Cregeen, one-time minister of the former Department of Community, Culture and Leisure, and Laurence Skelly who retains the Economic Development portfolio where there are major issues which need resolving. South Douglas Bill Malarkey returns to Home Affairs where he served as a political member from 2008 to 2011 and was a key promoter of the drug and alcohol strategy. Both Glenfaba and Peel members Ray Harmer and Geoffrey Boot are now government ministers in departments where they have been political members for the past year, Infrastructure and the Department of the Environment, Food and Agriculture.